I am a french based artist. I was born in 1987 in Orléans, grew up in the Paris suburb and moved in a village of the south of France (Provence) at the age of 13. This change probably revealed my artistic sensibility: I literally fell in love with Provence and its landscapes, so often celebrated in the past. I loved the light and the beautiful skies! I have always enjoyed D.I.Y activities, creating things myself that are unique and handmade. At the age of 14, I practiced oil painting and tried it with a pallet knife. I loved this feeling! At first, the paintings of Paul Cézanne and Keiflin Roger (born 1940), the painter of ‘light filled’ Provence, strongly inspired me, before I started to create my own paintings. I am passionate about two things: painting and foreign languages. I decided to study English and German at the university, spent 2 years abroad and started to work in international companies. 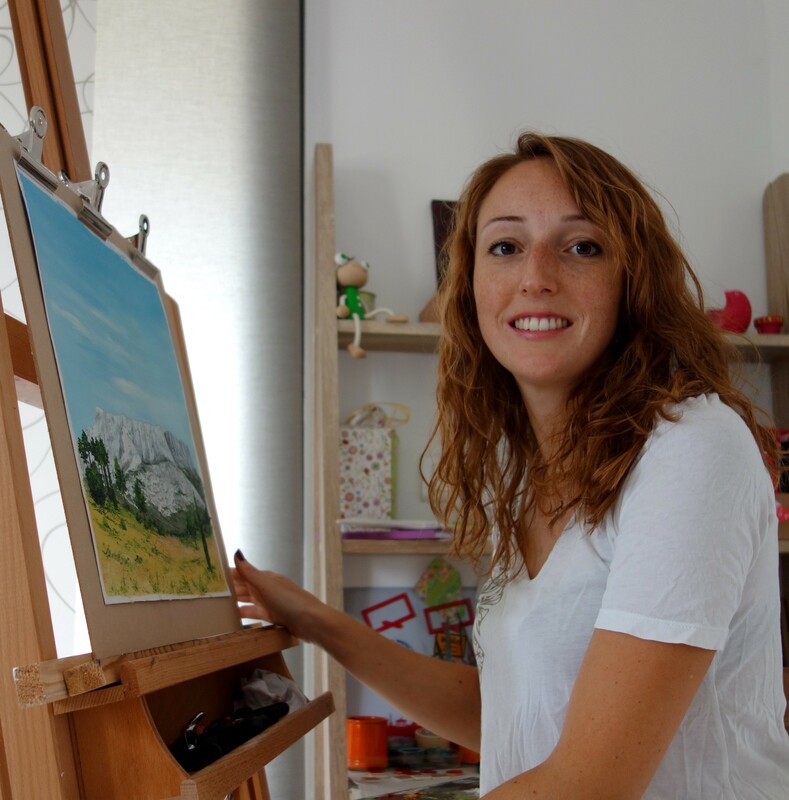 Although I was first very happy with my professional life and my painting hobby, I started to feel after a few years that creativity was missing a lot in my everyday life. I decided I would become a full-time artist. In 2012 I created my own website to share my passion and my creations and to open up to critics. 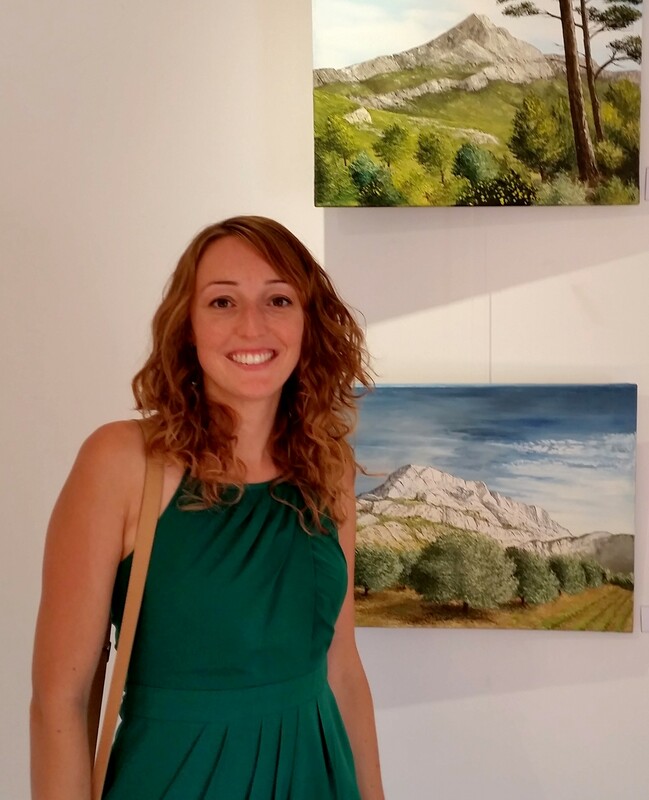 I started in 2013 to exhibit my paintings in the south of France in many local events, and in 2014 my artworks were exhibited in an Art Gallery : Carré d’Artistes in Aix-en-Provence during 2 years. My artworks are now exhibited (since June 2016) in Carré d’Artistes Shanghai, China. In 2014, I also began using collage and acrylic, creating equally successful triptychs in a more abstract style. By chance, I also found out I loved painting decoration for kids room. 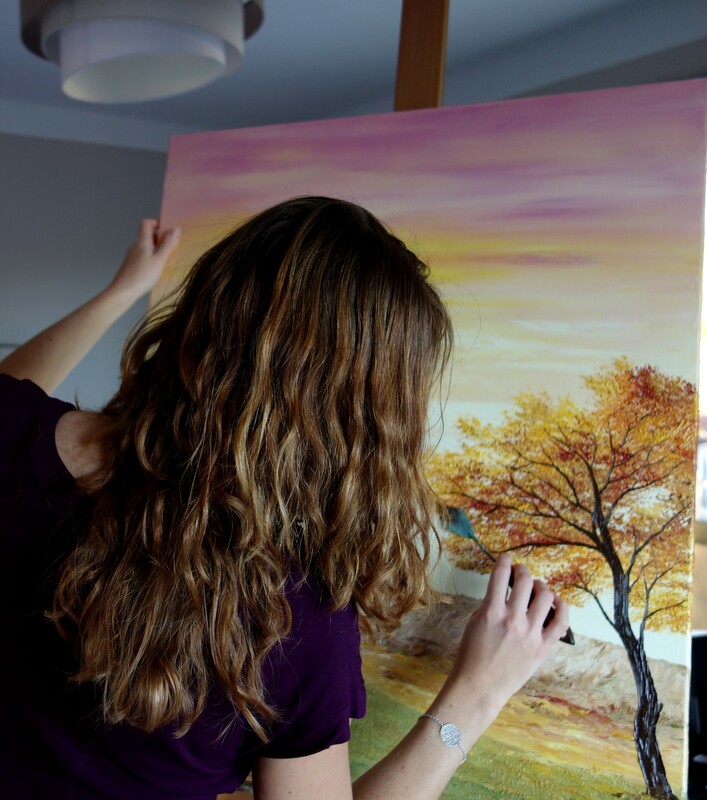 I usually paint my landscape from photographs, using also my imagination or my many trips abroad to recreate a warm atmosphere conducive to tranquility and contemplation. In my paintings, shadow and sunlight reflect off the clouds, rocks and sea to create contrast and perspectives. I apply oil paint sensually on canvas, working with a knife to create relief, depth and multiple shades. Here, it is colour and power of contrasts, from the foothills of the Alps to the Calanques of Marseille to Corsica, the Mount Sainte-Victoire in Aix and landscape from Asia which greatly inspire me to create. and I love the power of the colours! 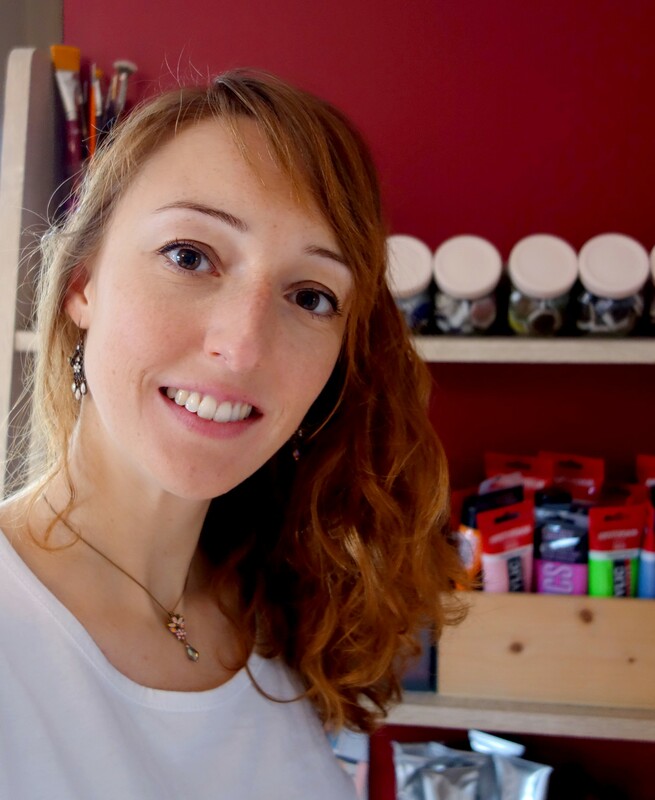 In 2018 I took a decision : become a full time entrepreneur artist ! My dream is coming to reality thanks to all your support on social networks and other ways! I invite you to visit my online galeries and meet me during my next art shows! Please feel free to contact me anytime, bye! Follow me on social networks !